I checked sea-ice area of arctic on Cryosphere Today website.In past few days, despite slower decline in sea-ice extent, area melting increased rapidly. If you compare today’s ice map with last year’s at this time, central ice is much weaker/thin this year. Though as of today, we have more ice than last year, but we have more ice on the edges ( on Barents sea side). This area melts anyway by August. 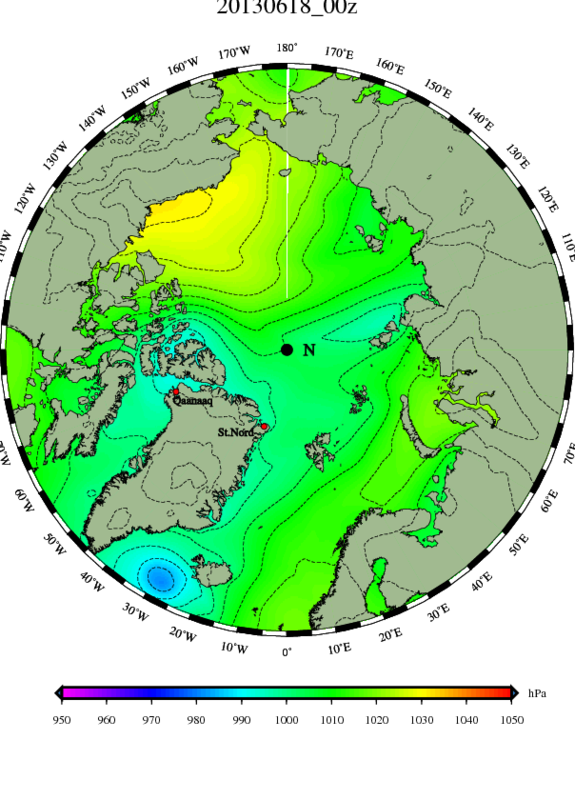 Therefore, this year central ice (Arctic Basin) seems to be much more vulnerable than any year before. I compared few sea-ice concentration and thickness maps of previous years. This year’s concentration and thickness is much lower than last year’s. So, i think over the next few weeks, we might witness a giant almost-hole condition in central Arctic. Arctic conditions are causing more and more excitement every day. The Russian side of that storm took a huge pounding. And we have lots of cracks and thin ice there. I’d say there’s definitely a possibility we’d see melt holes opening up in this region. We’ll have to see! I think I meant Kara Sea not Barents Sea. Kara does show more ice than last year. Barents is mostly open now. Just one last comment. Yes, we do have very large sea ice area losses over the past two days. Will blog on that in a bit.